Are you obsessed with Mally like I am? When she comes on QVC I go crazy and want to buy up everything. She's constantly coming out with new products and reinventing her image to keep everything fresh and exciting. One of her new products is the Evercolor Modern Matte Palette (comes in 3 different shades) Earth, Sage and Sunset are all gorgeous palettes that contain 2 colors that are flawless and weightless and meant to last all day. What is it: A duo of wearable and brightening matte eye shadows. Who is it for: Women who want their eyes to look youthful, yet emphasized and defined. Why is it different: The aerated texture of these eye shadows lies down a smooth film of luminous, stunning color, and stays weightless, flexible, and flawless over time. How do I use it: Wear the shadows alone or take the lighter shade and apply all over the lid from lash line to crease. 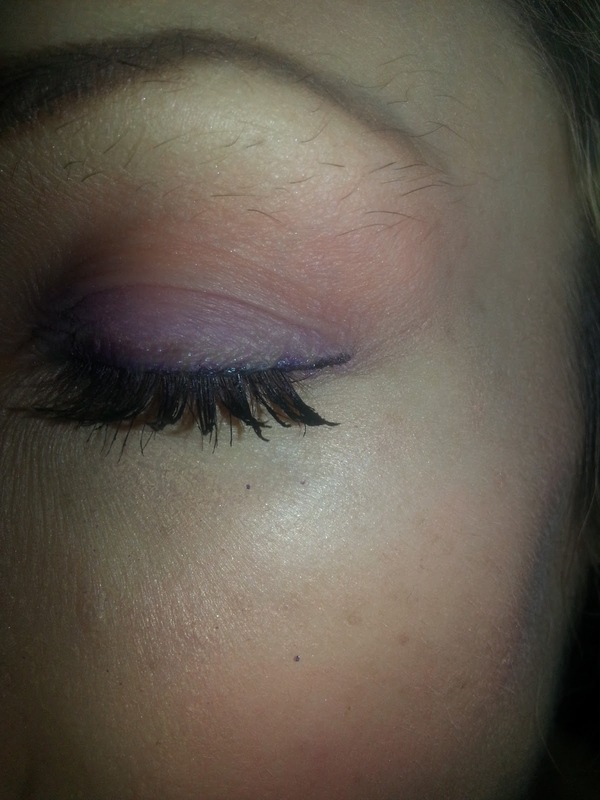 Then, take the darker shade and apply it in the crease for beautiful definition. I've been wearing the coral alone each day and had several compliments on. I finally got the courage to pull both colors together. (Please don't judge my bad eyebrows I know i need to pluck them!) 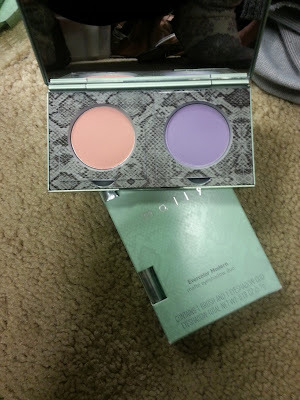 Usually I would never grab a purple eyeshadow but this one works and lasts at least 6-8 hours without an eyelid primer. It was refreshing to try out a "matte" shadow without any microshimmer or pigment. Sometimes you just need a nice matte. I would be curious to see how the Sage fairs since greens is another color I would never go for, but I would love to see someone wear it. Aside from the nasty hairs I need to pluck around my eyebrow, the colors blend nicely and I'm going to go a little bit above and beyond next time and do a bit more of a deeper look. But the colors combined do remind me of a morning sunset. 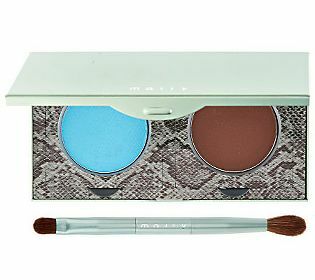 The Mally Evercolor Modern Palette is available at QVC and of course Mally's website for $29.98. 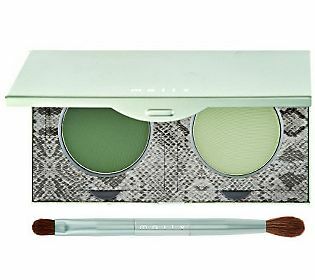 Did I mention the palette also has a beautiful snake skin theme? Mally you come up with the most gorgeous casings!